Take your pick from the latest Winter JDramas 2019! This season marks the start of the new Taiga drama “Idaten” which traces Japan’s histoy with the Olympic games. Idaten features a 2 part story starring Nakamura Kankuro as marathon runner Kanakuri Shiso and Abe Sadao as swimming coach Tabata Masaji. 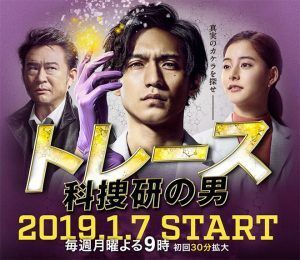 Fuji TV’s getsu9 is starting its rumored continuous seasons of medical dramas with “Trace ~ Kasouken no Otoko” starring Nishikido Ryo. Takako Tokiwa is starring in in a TBS Sunday Drama “The Good Wife” for the first time in 19 years since legendary drama “Beautiful Life”. Kitagawa Keiko is back as the relentless real-estate saleswomanin “Ie Uru Onna no Gyakushu” and you can catch Takizawa Hideaki’s last drama before retirement with “Kokou no Mesu”. What are your currently watching, Arama? Synopsis: With a mysterious past history, Mano Reiji (Nishikido Ryo) is a forensic researcher. With a self-belief that truth can always be revealed through a proper diagnosis, he’s a collected character who tries to distinguish himself from other researchers. Meanwhile, Sawaguchi Nonna (Araki Yuko) is another laboratory researcher who had originally stepped into the world of forensic research with no specific goals in mind. However, as she begins to deal with many murder incidences which she thought she would never be associated with, she gradually begins to feel deeply for many of the victims and their families along the way. And lastly, completely different to Mano Reiji, a veteran detective called Toramaru Ryohei Funakoshi Eiichiro) handles his cases based on his long years of experience. As many of these comparative and distinctive characters all face up to various unbelievable turn of events, this is an incredibly unpredictable story full of nerve wracking action. 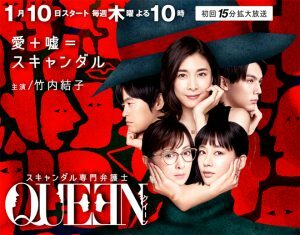 Synopsis: Set in the city of Osaka, the story’s main character is Takeuchi Sayoko (Kimura Yoshino), an ace scammer involving marriage fraud. And, Kashiwagi Toru (Takahashi Katsunori) who is an owner of a marriage consultation agency in the eyes of the public, is in fact a mastermind who works behind the scenes in marriage fraud dealings. Within this background, Nakase Tomomi (Kimura Tae), daughter of a man who becomes a direct target of Sayoko’s plans, rushes to the hospital to visit her father who she in fact had not seen for a long time. She discovers all of this terrible truth at the hospital. In order to stop Sayoko from taking all of her father’s inheritance, she decides to take immediate action. And finally, Honda Yoshinori (Ihara Tsuyoshi)a, who is a private detective having quit his previous job for releasing information to an underground gang group, receives a request to chase down Sayoko’s deeds from Tomomi, and sets out on a mission to uncover the dark secrets of the dark masterminds..
Synopsis: The main character, Himi Ko (Takeuchi Yuko) is a lawyer who is an expert in the field of crisis management. Her main area of activity is not in a courtroom, but within the shadows of many of the big scandals. As a genius “spin doctor,” she has managed to solve 99.9% of her client’s issues and requests. If need be, she would even manage to reverse falsehood into justice. And most of all, she has a strong belief in supporting women, especially those who are stuck in a crisis and will go all the way to solve some of the most tricky cases. This is a drama which depicts such a determined character who takes whatever step she needs to help people who are at the edge of their lives! 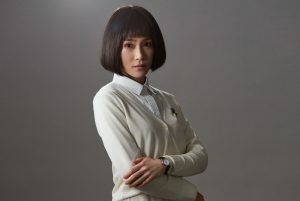 Synopsis: 33-year-old Takanori Noriko (Yamaguchi Sayaka) is a full-time housewife who does not let wrongdoings or crimes go unpunished ever since an incident in her past. One day, she meets four friends from high school again. Nishiyama Yumiko (Mimura Rie), Riho Williams (Katase Nana), Ishimori Reika and Imamura Kazuki (Sakurai Yuki) have been living their own lives. However, their routines begin to fall apart as a result of this reunion with Noriko. This quietly and eventually moves rapidly towards a doomed dead end.